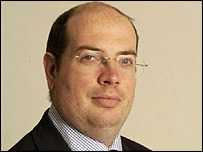 The reports by Andrew Gilligan which sparked the row between the government and the BBC were broadcast on Radio 4's Today programme on 29 May 2003. They took the form of "two-ways" - an interview between a presenter and reporter - with John Humphrys questioning Mr Gilligan. What we've been told by one of the senior officials in charge of drawing up that dossier was that, actually the government probably knew that that 45 minute figure was wrong, even before it decided to put it in. He was referring, we now know, to his conversations with weapons expert Dr David Kelly. At the inquiry into Dr Kelly's death, Mr Gilligan has admitted that his use of language in this report "wasn't perfect". With the benefit of hindsight looking at it now with a fine tooth comb I think you know it was not wrong what I said, but it was not perfect either. He also said that it "quite unwittingly and quite unintentionally did give people the wrong impression about whether this was real intelligence or not". Mr Gilligan said this two-way was conducted from his home "live and unscripted". He said he had done 19 reports based on Dr Kelly's comments. And he said he never again suggested that the government knew the 45-minutes claim was wrong. He said this report had been scripted. The inquiry was shown an e-mail from Mr Gilligan's editor at the Today programme, Kevin Marsh, sent to the head of BBC Radio News on 27 June. The email referred to Mr Gilligan's reports on 29 May. This was a good piece of investigative journalism marred by flawed reporting. Our biggest millstone is a loose use of language and lack of judgement in some of his phraseology. It was also marred by the quantity of writing for other outlets that varied what was said." The email also suggested this could have been a symptom of Mr Gilligan's "loose and distant relationship" with the Today programme. Mr Gilligan said he did not believe this was "an entirely fair analysis". He said it was written a month after the broadcast and was the only time Mr Marsh had raised concerns. He went on: "It was written at the time of maximum pressure. It was just after (government communications chief) Alastair Campbell's appearance at the select committee (investigating the government's case for war with Iraq)." And he said Mr Marsh had sent him an email 24 hours after the broadcast on the Today programme. Mr Marsh said in the email he wanted to meet Mr Gilligan to talk about his work and joked about the reporter's working hours. "Maybe you could creak the coffin lid open next week in daylight hours," Mr Marsh wrote. It also emerged at the inquiry that the BBC board of governors had felt that "careful language had not been applied by Andrew Gilligan throughout" in the Iraq dossier affair. The inquiry heard that one senior BBC manager, Steven Whittle Controller of Editorial Policy, had said: "The BBC's weakness in this area is the lack of solid and reliable notes. " Mr Gilligan was also questioned about whether the government had been contacted for its comments on his reports. He said Defence Minister Adam Ingram had been invited on to the programme to discuss another issue, and was asked if he would comment on Iraq's weapons and Mr Gilligan's report. He said he also spoke to the chief press officer at the Ministry of Defence to outline his story. He said: "I cannot remember exactly what I told her because it was a mobile phone and I did not take notes of the conversation. I took her through the story in outline." He said Today "did ensure that the government's views were fully reflected" when his report was broadcast. He said the government's denial of the allegations was the main item leading into his 7.32am broadcast.